There are two different versions for the origin of its name: according to the most ancient of the two, a mistranslation of isula de is càvurus (crab island); the most recent hypothesis states that the name derives from the abundant presence of wild kale. Isola dei Cavoli has a surface of only 43 hectares, but it is a feast of flora and fauna, less than one kilometre away from Capo Carbonara. 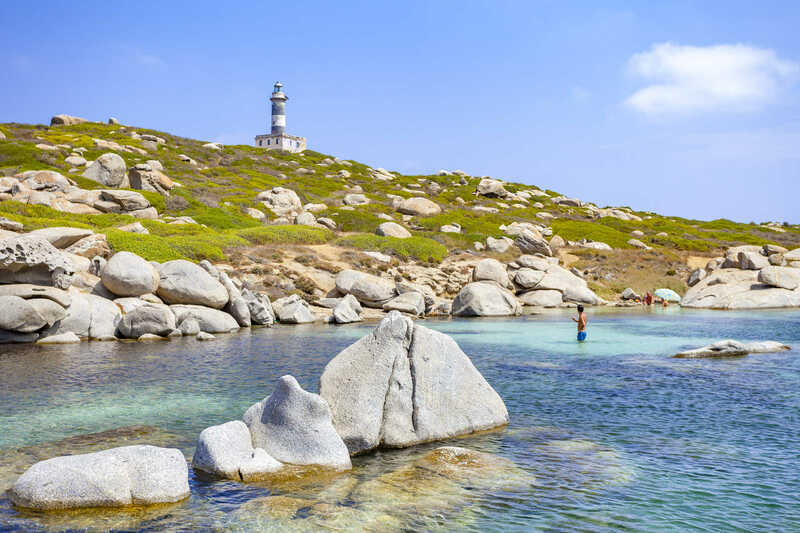 You can reach it by private boat or with excursions organised from the Villasimius harbour. 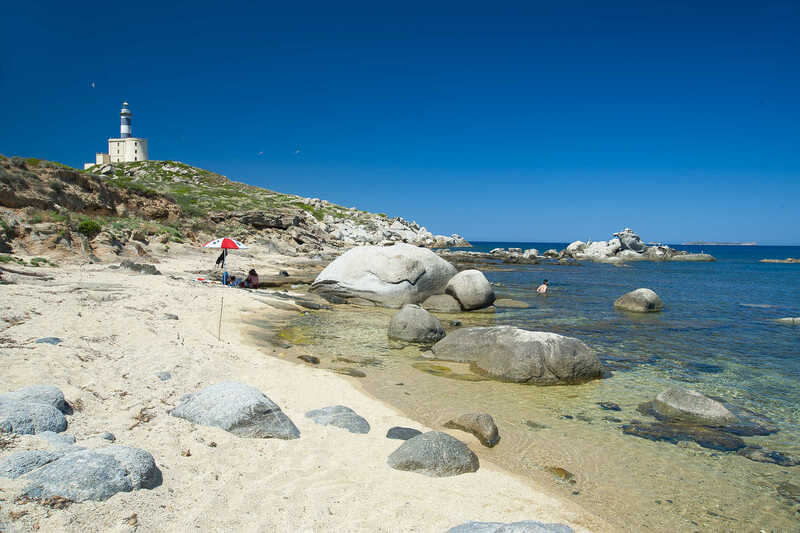 Its irregular coast is dotted with small coves surrounded by granite boulders with white sand bottom: long and narrow cala di Ponente, accessible to small boats, cala del Morto to the south, Cala del Ceppo and the largest and protected Cala di Scasciu. Its clear, intensely azure waters are the home of whole schools of dolphins and barracudas. On the bottom, rocks form valleys and fissures, the habitat of lobsters, tub gurnards, brown meagre, dentex, shrimp, gilt-head breams, greater amberjacks, diplodus and goatfish. Thanks to fishing tourism, you can taste the fish just captured with the fishing nets. The islet is the preferred nesting place for peregrine falcons, European shags, shearwaters and seagulls. 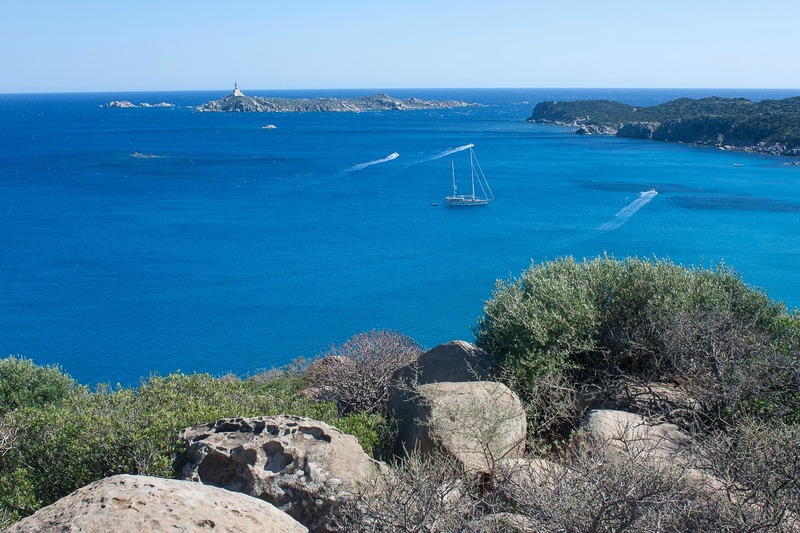 Together with the Serpentara island, only one kilometre away, it is part of the marine area of Capo Carbonara, and it is the seat of botanical and zoological research carried out by the Faculty of Biology of Cagliari. Its symbol sits on its highest hill: the Faro dei Cavoli, a lighthouse whose walls are covered in small tiles, white and coloured from azure to purple. Built halfway through the 19th century, it included an old Spanish tower (dated 1591). 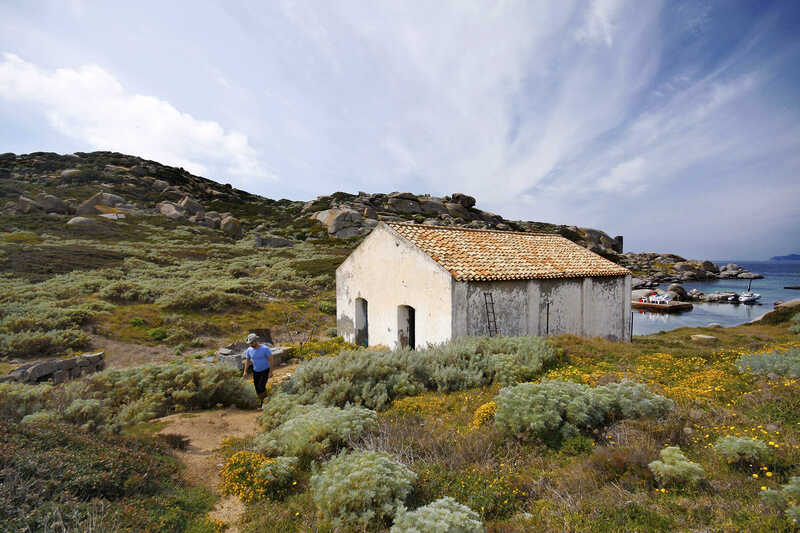 Its workers once lived on the island, but it has been uninhabited since the whole system became automatic. In 1979, a statue of the Virgin of the Sea, made of pink trachyte, was deposited on its bottom. The statue is the protector saint of sailors and was made by Sardinian artist Pinuccio Sciola. Since then, every year, on the third Sunday of June, a sea-bound procession takes place, including benediction, underwater prayer, and the throwing of garlands in the water. Sitting in a boat, from the islet you can see the splendid landscape of the Villasimius coast: to the west of Capo Carbonara, the beaches of Porto sa Ruxi, Campus, Campolongu, del Riso and Cala Caterina; to the east of the promontory, the “pearl” Porto Giunco (with the Notteri Pond), Simius, Traias, Rio Trottu and wonderful Punta Molentis. 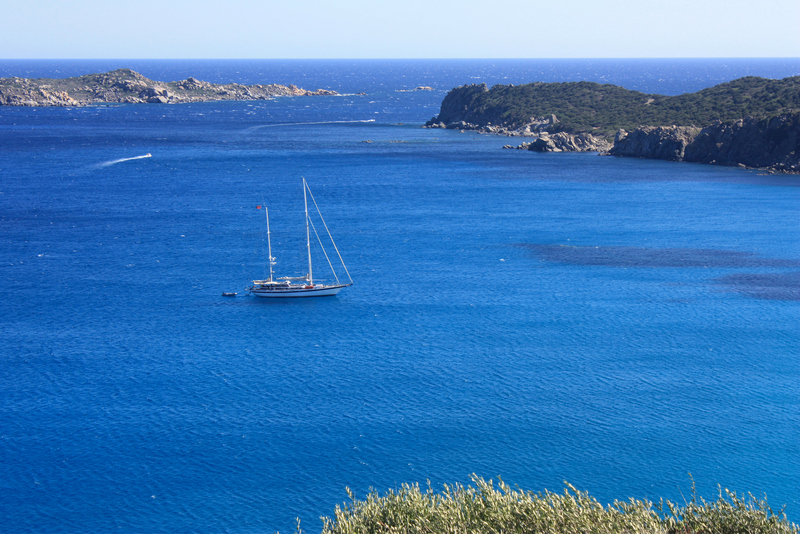 The beach is easily reached, by private boat or going on organized excursions, from the dock of Villasimius.